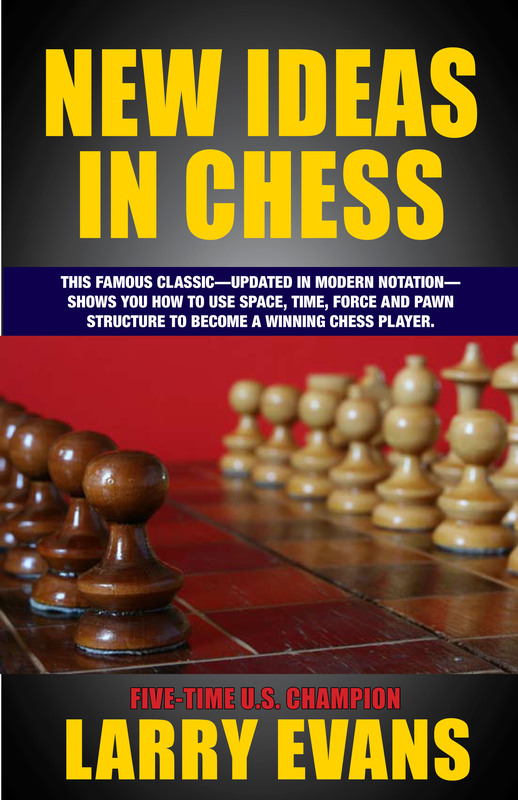 One of the most famous chess strategy classics, updated and revised with modern algebraic notation. In one of the most influential chess books written, readers will learn the most important strategy, tactics and themes that comprise a successful chess game: space, time, force and pawn structure. In a book that has been called the “bible for novice to intermediate players,” Evans uses actual game examples to illustrate dozens of chess themes. Each is a mini-lesson that illustrates the fundamental concepts of modern chess theory, ones that can be learned in easy, quick sittings. Evans discusses space (mobility, the center, controlling unoccupied squares, stability. ), time (development, gambits, pins, tactics), force (relative values, sacrifices), and pawn structure (passed, connected, isolated and backward pawns), showing players how to weave these concepts together for a stronger and winning chess game. Features 200 diagrams and, for the first time, chess notation in modern algebraic notation making the book accessible to a new generation of chess players who couldn’t read the antiquated notation of the original.